Before I was vegan, Caprese salad and and sandwiches were one of my favorite things to eat. I thought they were a thing of the past until recently. The wonderful Spork Sisters introduced me to a vegan version of Caprese salad with a balsamic reduction that was out of this world delicious. 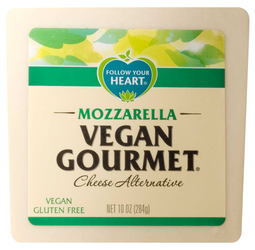 It turns out that Follow Your Heart’s Vegan Gourmet Mozzarella tastes really outstanding right out of the package. 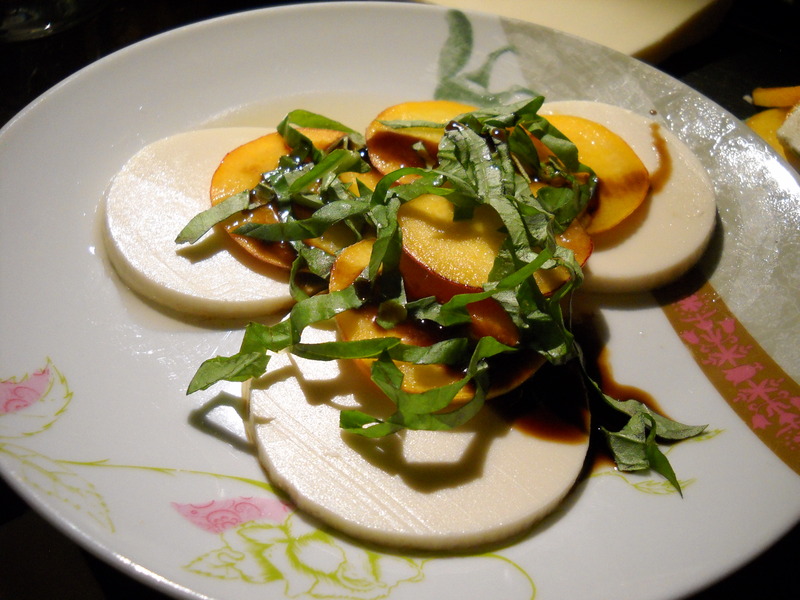 To change up the traditional Caprese even more, I decided to use fresh organic yellow peaches in place of tomatoes. I also mixed a barrel aged dark balsamic with a little bit of an aged peach white balsamic vinegar that my most amazing friend Bess got for me–I will have to do another blog post on the store she bought it from, Oliana (located in West Hollywood) which is AWESOME. So awesome. Anyhow, the result is a delicious and light snack or lunch. It’s good just as traditional Caprese salad or it’s delicious as a cold sandwich. If you’d like to do a Caprese panini with melted cheese, use the Daiya brand vegan cheese. It melts better than Follow Your Heart, and the FYH brand really shines in its unmelted state. Second everything you say about Oliana…we will be armed with a camera next time! And that dish looks like an afternoon tea party in my mouth…finger sandwiches are so 1956.